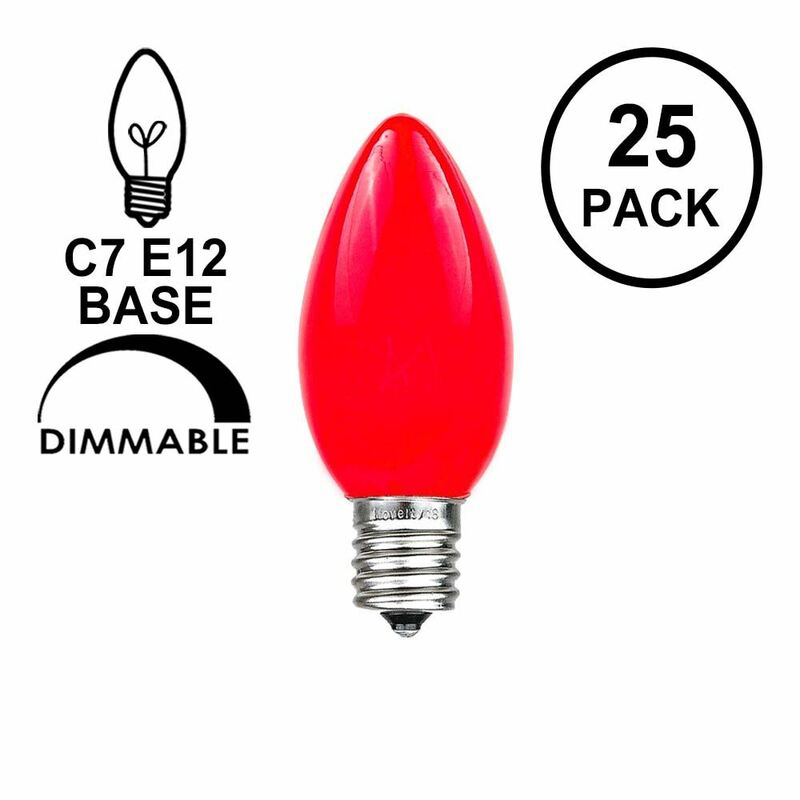 Our vintage style C7 ceramic Christmas light bulbs have the traditional coloring that looks like the bulbs have been dipped in latex paint. 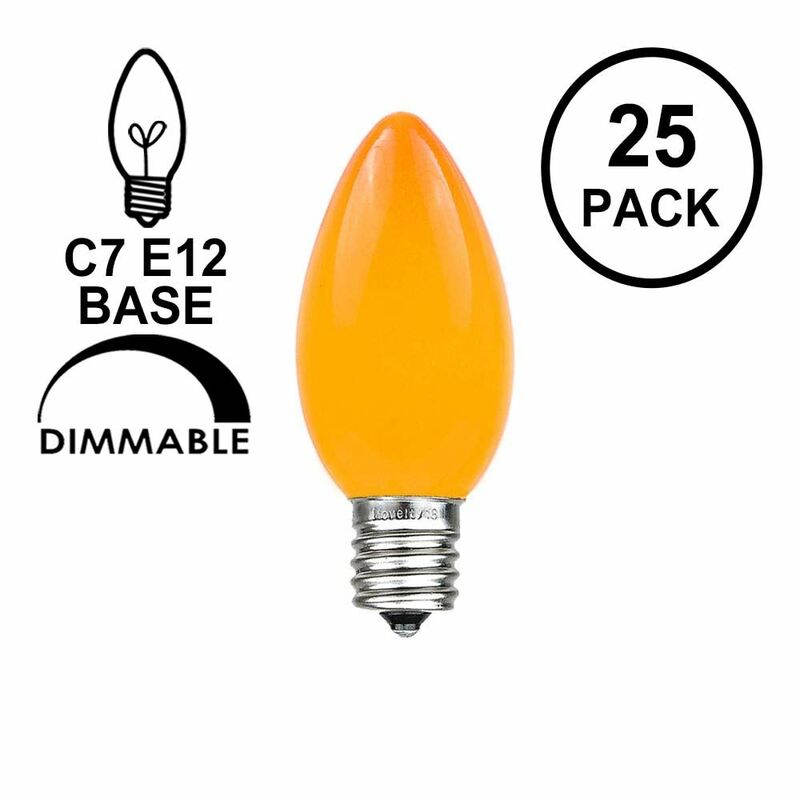 These 5-watt, 130-volt bulbs with candelabra bases will screw into our C7 Stringers, Heavy Duty Candelabra (e12) Stringers, Vintage e12 Twisted Wire Strings with Bakelight Sockets or 1000' C7 Spools and will shine for 3,000 hours. 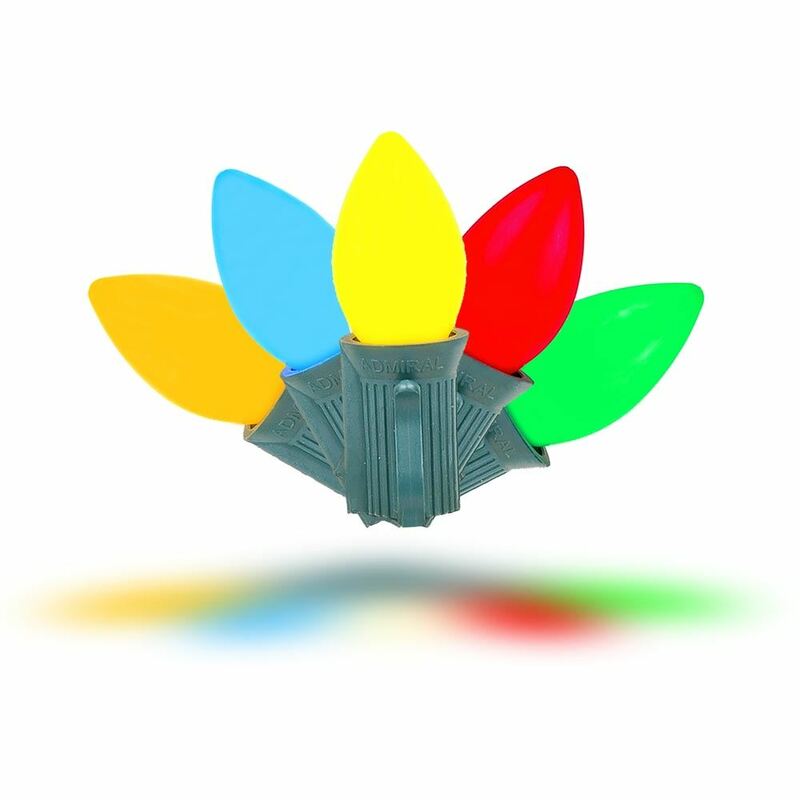 Safe for both indoor and outdoor use, so you can decorate your tree and your house for the holidays! 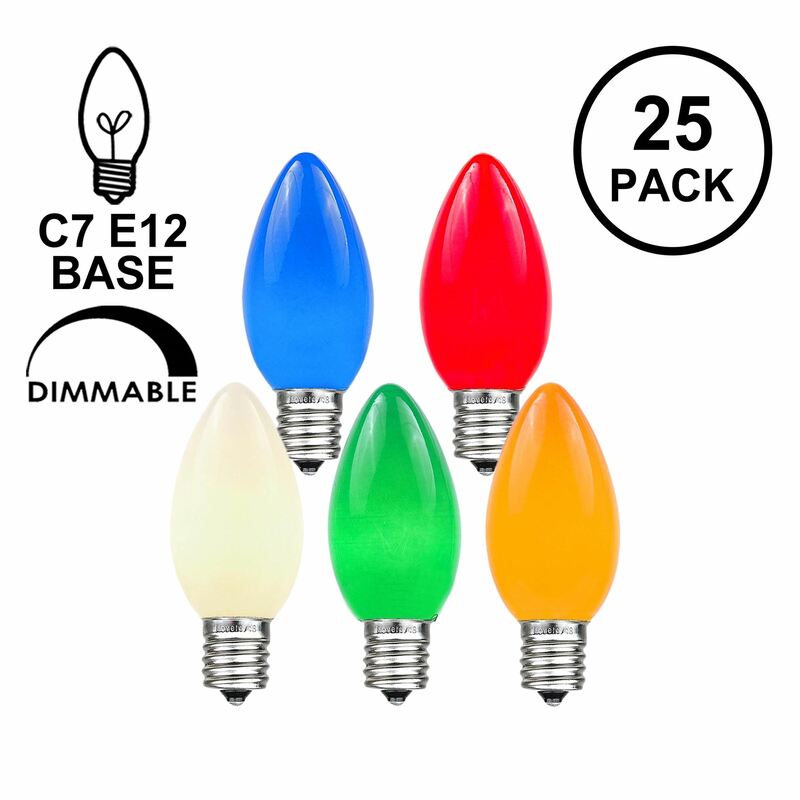 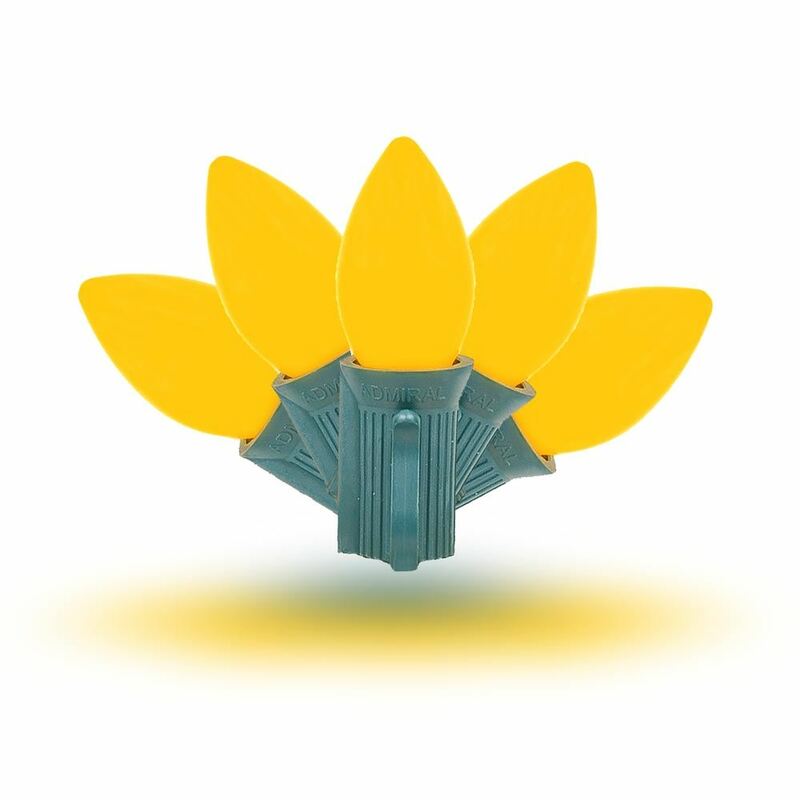 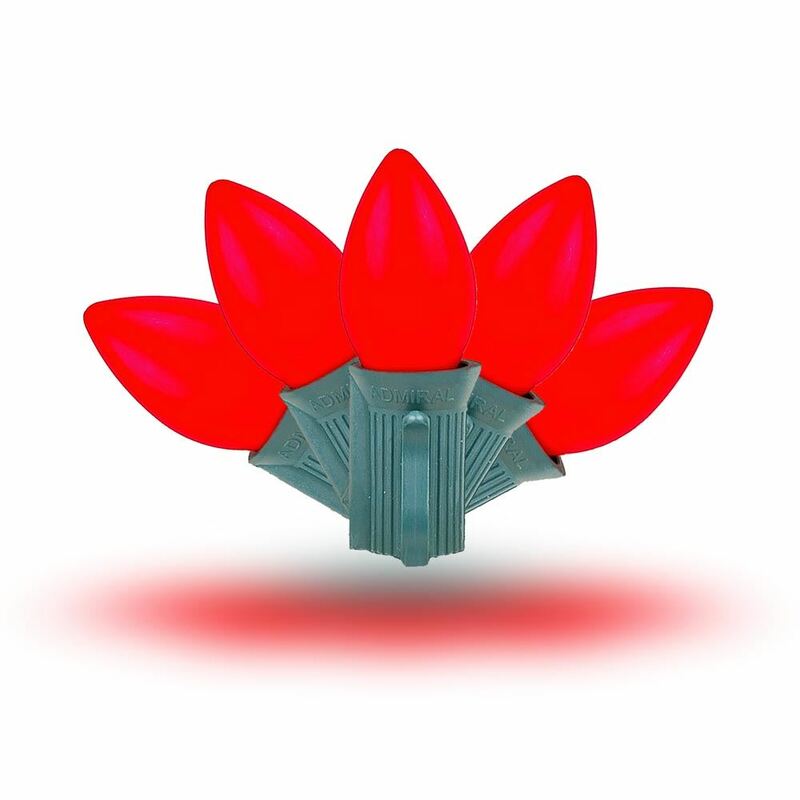 Choose from packs of 25 bulbs in the following assortment of colors: White, Red, Blue, Green, Yellow, Orange, Pink, Purple, and Assorted color pack. Also available are our NEW C7 Ceramic LED bulbs. These plastic LED bulbs have the same vintage look as their incandescent counterparts but are more durable (plastic!) 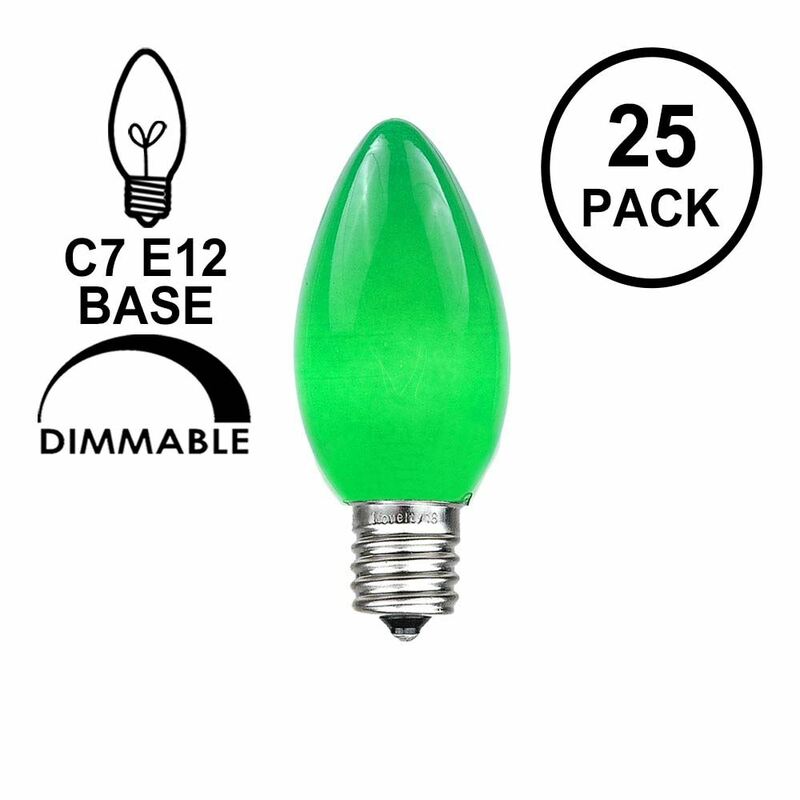 and will last much longer! 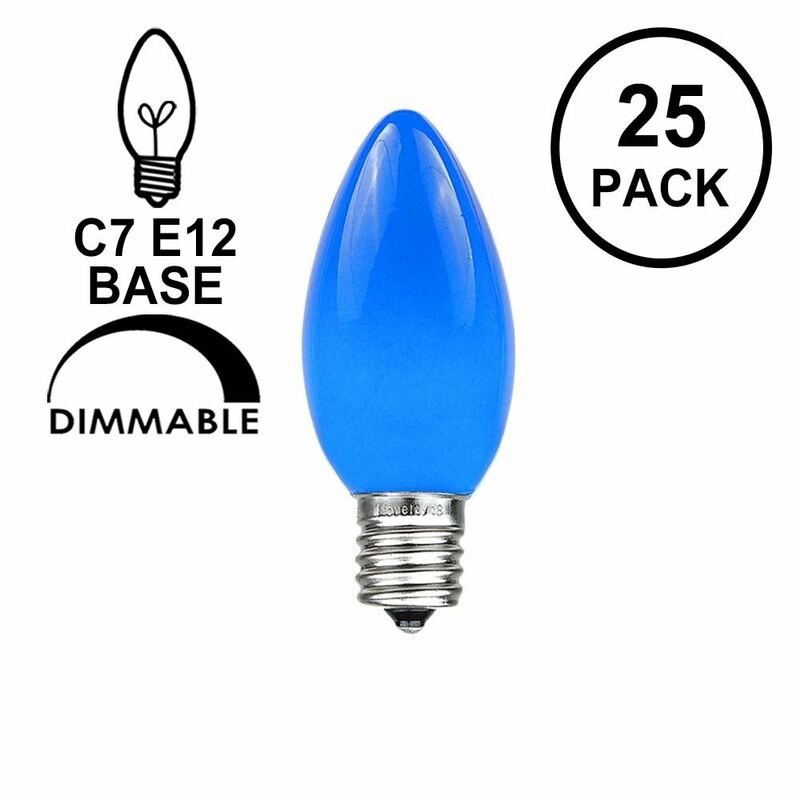 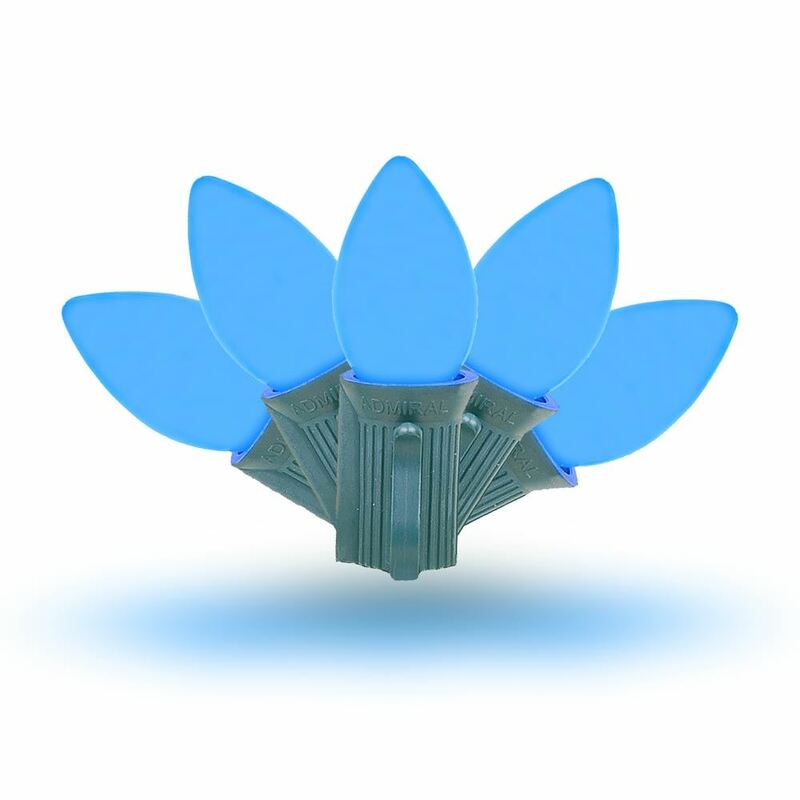 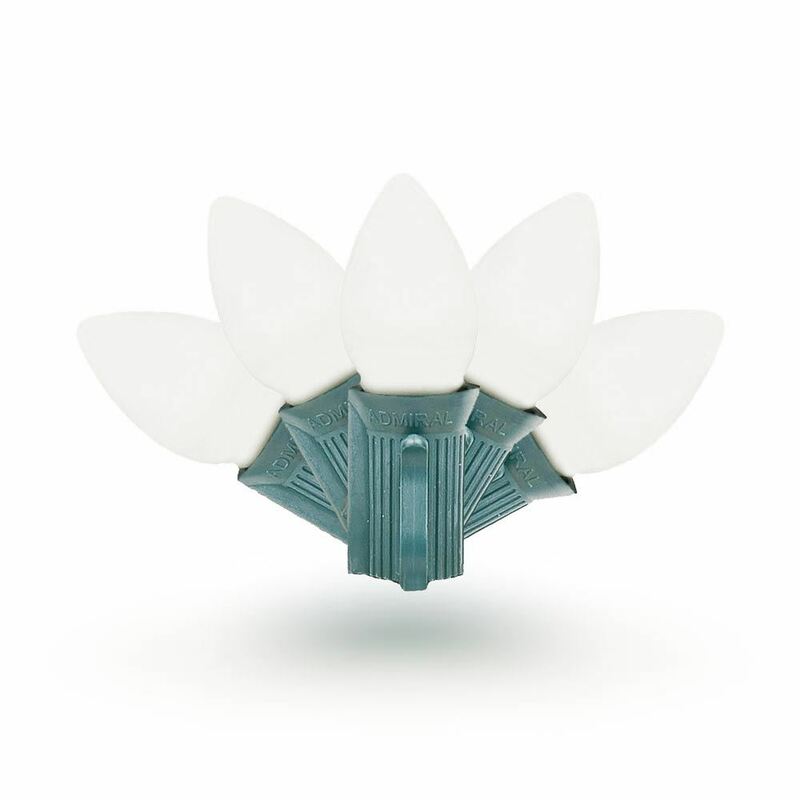 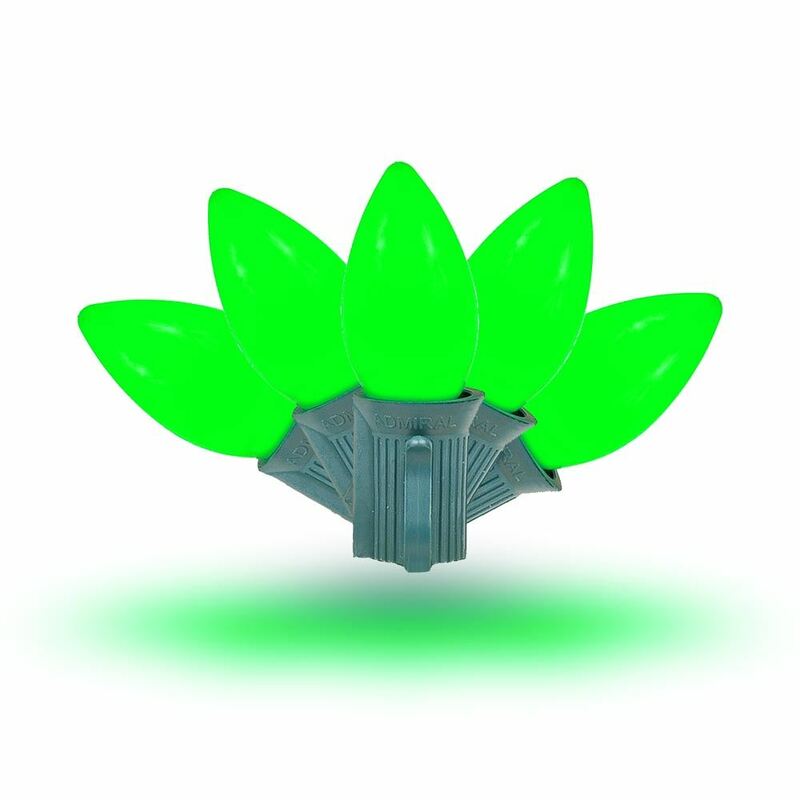 Invest in these LED C7 ceramic bulbs for years of troube free use! 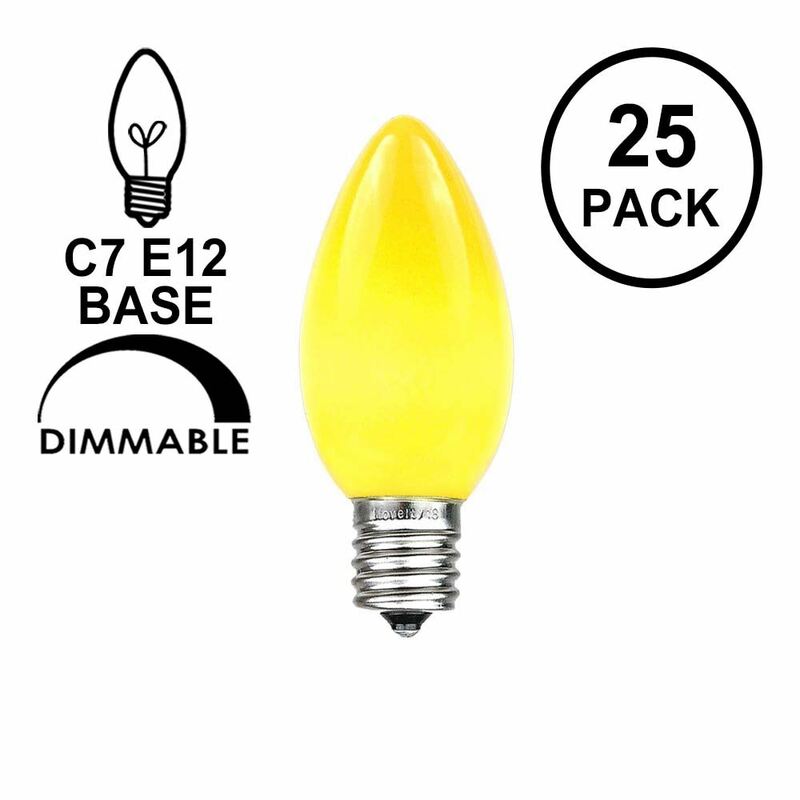 You may also be interested in our Ceramic C7 Light String Sets.